More then often we are requested to mount fish caught out of lake Ontario. 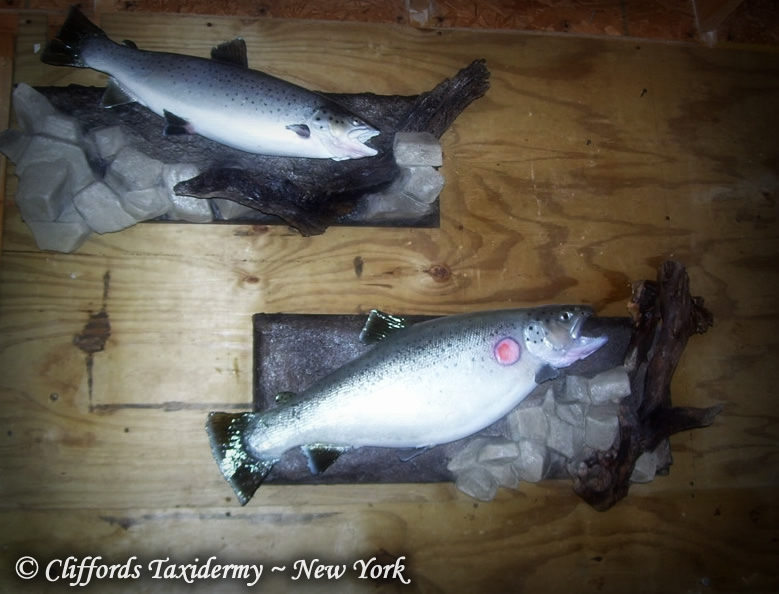 The most common trout we taxidermy are brown trout. Brown trout in lake Ontario change color throughout the year. Spring and fall colors will different from summer time colors. Pictured here are two summer phase brown trout. these fish when brought in exhibited chrome characteristics. Gold, blue and green iridescences also could seen within. This is common with most brown trout. As you can see one of the trout had lamprey damage and the client requested that damage remain as is during the taxidermy process.